"Rejoice always; pray without ceasing; in everything give thanks; for this is God’s will for you in Christ Jesus. . "
Yes, I have 30 seconds for Jesus! Yes, Lord! I will pray. Make a change for God. God wants to use You to Save Souls! Commit to PRAY Daily for 30 seconds, at 3 o'clock, the Hour Jesus Died. God asked us to pray at the hour of His death...shouldn't we love Him enough to obey God? Wouldn't it be wonderful if all Christian business and schools, each church office, and every individual stopped what they were doing daily, at 3:00pm, to give praise to Jesus for just 30 seconds at the moment of our Lord's death? What a witness we would be! Shouldn't we be doing this already? Jesus asked us to pray at 3:00pm; we should listen to Him. Praying at other times of the day is good but that doesn't mean we shouldn't pray for a brief moment at the hour of our Lord's death. This should be a priority. Three O'clock has always been the Holy Hour - the Hour of Great Mercy, and praying at this hour is the basic requirement from Jesus through the Divine Mercy messages "pray...if only for a very brief moment". Our Lord died at three O'clock, for our sins; at the very least He deserves this from us to console Him for the great many sins that are still being committed despite His great mercy. And in return, God will give us so much for our love and obedience to Him. Such respect is due our Lord. There is nothing to lose, yet everything to gain through Jesus. The world will change if it simply prays for just 30 seconds. I mean think about it; wouldn't it be wonderful if throughout the mall, at 3 o’clock, countless people's cell phones rang an alarm to remind them of the 3 o’clock Holy Hour and for just a brief moment everyone thought of Christ's great love for us that was shown through His passion? Did you know, the people of the Philippines already do this. Literally, they announce everyday the 3:00pm holy hour, over a speaker system, and everyone in the malls and businesses stop what they are doing and give praise to our Lord. Just beautiful! We can be as faithful as the Philippines. Can't we? In order to do this, we must change and make a promise to God, set an alarm and make praying at the hour Jesus died a priority. We can do this. If we are talking to someone...stop for just 30 seconds. If we are working...stop for jsut 30 seconds. It is easy, if we make a commitment to God. Then we need to encourage others to pray too. It isn't hard to stop what ever we are doing, for just 30 seconds, to show our Lord how much we love Him. Every Christian institution should be doing this. We should be the faithful example of what loving God above all else is. Our light should shine. Lives would be changed, not to mention what a witness we would be! All the angels and saints in Heaven would rejoice. Wouldn't it be wonderful, if while picking-up the kids from school - whether in the pick-up line or while driving home - if all conversation stopped for just 30 seconds, and everyone gave praise to Jesus? This is how you LIVE the first commandment; by loving Our Lord above all. We can do this! It is all within our grasp. It is truly very easy. 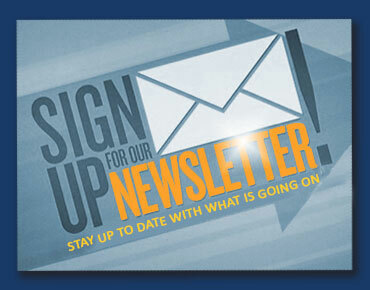 We can revitalize the Christian faith within our communities. But, it is up to you. Just say, “Yes, Lord!” and make the simple change to give 30 seconds of your day to Jesus. Everyone can pray for just 30 seconds. God deserves our love and our prayers. We should then be disciples and spread the 3 o’clock challenge. With pride in our faith and love for Jesus, we can go out and encourage others to honor our Lord at the hour of His death.  Since we set alarms for so many other tasks in our day, we can set an alarm for Jesus. 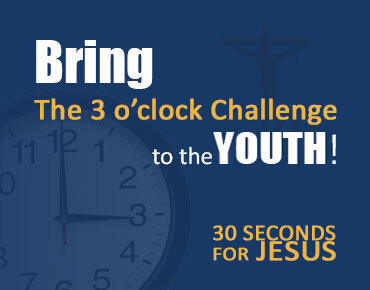 We can do this for Jesus, and make a promise to God to promote the 3 o’clock challenge so God can use us to save souls. Learn more about the importance of the three o'clock Holy Hour. We can go to church, Bible studies and prayer groups, but if we don’t have the works of the Lord--helping to save our neighbor's soul--in our lives, our faith is dead just as the Bible says (cf. James 2:14-26). 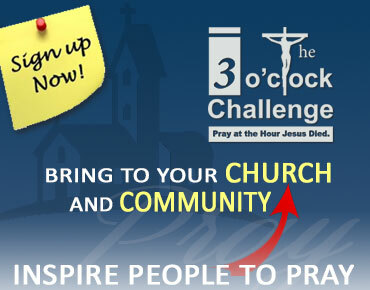 "The 3 o’clock Challenge" is the perfect opportunity to allow God to work through you. Satan, of course, doesn’t want us to give praise to Jesus for the great sacrifice Our Lord made for us so Satan is going to try to distract us and convince us that we are too busy to do this for God. Beware…do not let Satan keep you for spreading "The 3 o'clock Challenge" because God wants to use you to save the souls of His children. 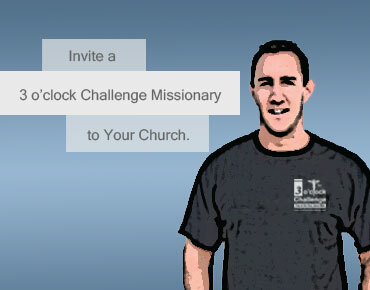 For the love of God and His children, we are offering many free products to promote "The 3 o'clock Challenge." We believe so strongly in the power of prayer, that once the world starts to give respect to Jesus at 3 o’clock, God's Holy Spirit will consume the souls of the faithful, and Jesus will renew the face of the earth and transforming it with His Love. So become involved, and bring Jesus back into world. God is waiting for you! Before we can go into the world and proclaim the Gospel we must first learn how to love.  Visit www.GodWantsYouInHeaven.com to learn how to save souls...and how to truly love. God will use us to save many souls from eternal fire if we LOVE. We must love unconditionally like Jesus does...the kind of love that is talked about in the Bible: a nonjudgmental, all-forgiving love. If you want to bring people to Jesus, so they may enjoy peace in this world and eternal life in Heaven, and think that preaching and wise words are all that is needed to accomplish this, I ask you to reconsider that thinking since God works miracles not so much through words, but rather through acts of love and mercy. Sure correct preaching is most valuable but it must be appropriate and combined with love. The love that flows from acts of kindness will transform the world. If you do everything in the name of Jesus, then Jesus' hand will be in all of your works. Certainly the Lord will soften hearts if it is His will, and whatever words you do feel the Holy Spirit is calling you to say, they will be heard with ears that can hear because God's love which flowed from you has opened them. "Little children, let us not love with word or with tongue, but in deed and truth" (1 John 3:18). Therefore do as the Gospel says...love with your actions, before you preach the gospel in words, and then preach patiently. (cf. 2 Timothy 4).